Now might not be an especially smart time to go looking for the Immortal Hulk, but tell that to Walter Langkowski, otherwise known as Sasquatch. 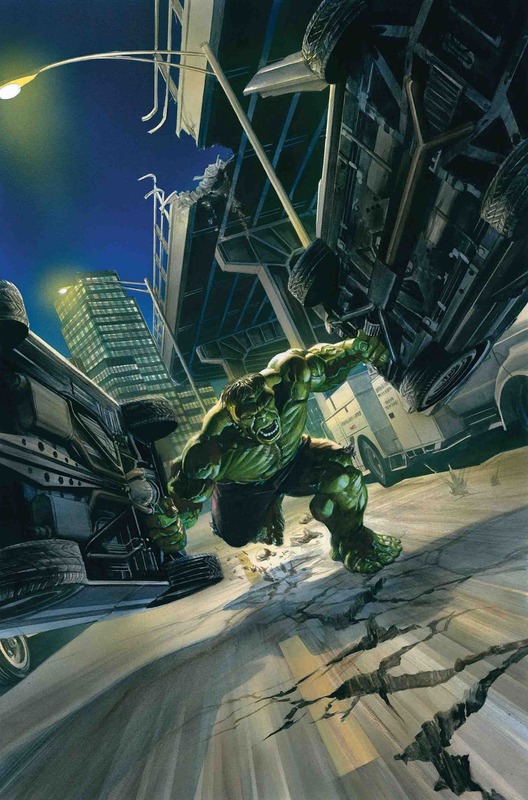 According to the synopsis for Immortal Hulk #4, Walter will go looking for his fellow gamma-afflicted acquaintance and die for his ambitions. This likely won’t come as a surprise to anyone who kept up with the events of Avengers: No Surrender, which saw the big green guy rise from the dead, tear through his former Avenger allies and be dubbed immortal for his efforts. Al Ewing and Joe Bennett’s Immortal Hulk series looks to explore the fallout of Hulk’s return, and who better to talk some sense into into the green giant than someone so closely matched? Still, it sounds like things don’t go Walter’s way. An early preview for Immortal Hulk #1 sees Bruce on the run, not unlike the 1978 TV series The Incredible Hulk. According to an interview with CBR’s Dave Richards, Ewing said the resemblance is intentional. Bruce is in hiding. He doesn’t want to be found. The series will delve deeper into the hero’s psyche and why he has gone the isolative route, but people in hiding generally want to stay hidden. The arrival of Sasquatch can’t be a welcomed one for Bruce. It might be a fitting one, though, as Sasquatch is, in a sense, a mirror version of the Hulk. Walter Langkowski is an ex-football star, a space diplomat and a beloved super hero. Walter Langkowski is charming, healthy and outgoing. Walter Langkowski is the opposite of Bruce Banner. …and found the IMMORTAL HULK. Created by Chris Claremont and John Byrne, Walter Langkowski first appeared in X-Men #120 in 1979. Walter was a student at Pennsylvania State University for a short time, where he met Bruce Banner. Walter’s interactions with Bruce piqued his interest in gamma radiation studies. After Bruce became the Hulk, Walter became fixated on the transformation and eventually conducted a series of experiments on his own, thus turning himself into the Sasquatch. Sasquatch eventually helped form Alpha Flight, the superhero group in charge of maintaining peace in Canada. Immortal Hulk #1 is slated to release on June 6. Sasquatch will make his appearance (and presumably die) in Immortal Hulk #4. The post The Immortal Hulk Is Gonna Kill an Original Alpha Flight Member appeared first on CBR.